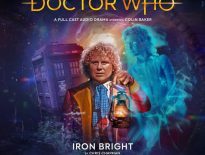 Series 7A of The Fourth Doctor Adventures from Big Finish opened with a bit of an unexpected bang, giving us what quite possibly may be the best set of Fourth Doctor stories since the second series from this range. The Sons of Kaldor threw us back in time and made us remember why we love Robots of Death so much; The Crowmarsh Experiment harkened back to the more “experimental” days of Big Finish and offered a great in-depth look at how Leela has developed as a character; while The Mind Runners/The Demon Rises gave us a fun, futuristic runaround story. It was pretty entertaining, but it caused some worry within me. 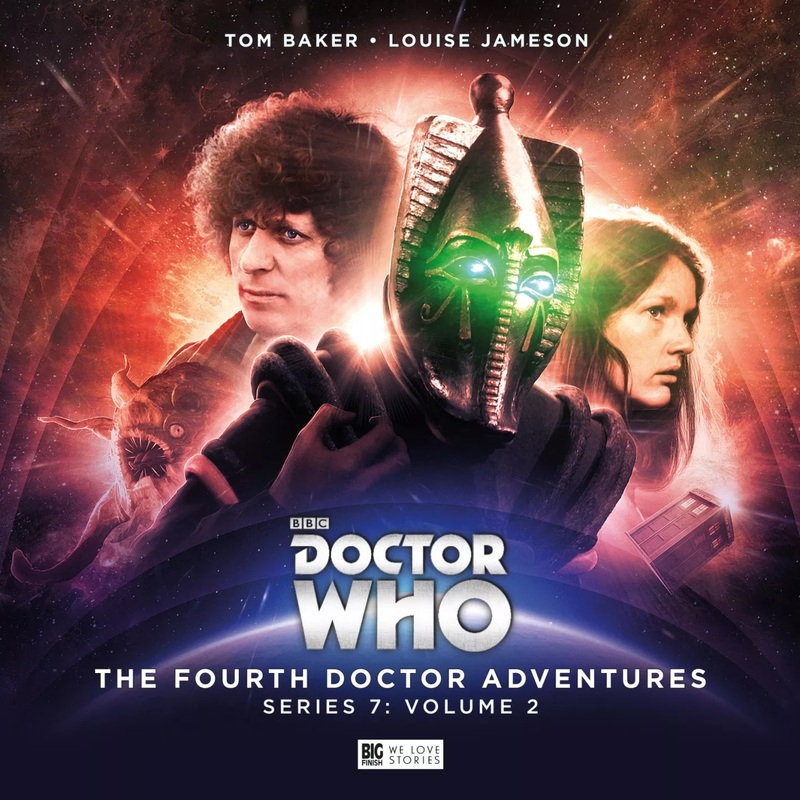 As the Fourth Doctor Adventures range consists of, in my opinion, some of Big Finish’s weakest releases, I was worried that the second half of Series 7 wouldn’t live up to the expectations I had after listening to the first half – but what worried me even more was the possibility of getting a “just okay” Sutekh story because (next to Davros) Sutekh is my favorite villain. Sadly, with this second box set, some of my fears came true, but I’ll get into them in a second. The Shadow of London opens up Series 7B and it’s written by Justin Richards. Now, I always feel like his stories have decent concepts behind them but poor execution of said concepts. His scripts always feel a bit half-baked at best and The Shadow of London is, unfortunately, no exception. It offers the interesting idea of a genetic experiment created by the Nazis running amok in their training grounds, but the dialogue and character development aren’t there to back it up. There’s also this subplot with a character named Maddox (Catherine Bailey) that goes absolutely nowhere and that’s a telltale sign that a story needs reworking. Overall, not a particularly good start to the second half of Series 7. The Bad Penny is next and it’s written by everybody’s favorite Sontaran, Dan Starkey. The Bad Penny is easy to follow and has an intriguing concept behind it like The Shadow of London, though its execution leaves something to be desired. It’s set in a small, independent hotel and there’s only so much anybody can do in that setting; it suffers from the same problem as An Unearthly Child in the sense that it’s just a lot of running around in circles. There are some nice moments for the Doctor where he has to deal with people from the hotel’s past and future fading in and out of the time zone he himself is in, but that’s about all that’s there to enjoy. The story lacks gravity; there isn’t any sense of danger. Again, this story works on a conceptual level, but when it’s fully fleshed out, it doesn’t. I would, however, be interested to see future stories from Starkey, for his first full-cast, feature-length audio drama that he’s done on his own, it was pretty solid. Kill the Doctor/ The Age of Sutekh is penned by Guy Adams, who is one of my favorite Big Finish writers because when he’s good, he’s actually great. While I wouldn’t say I’ve heard any bad stories from him, some of his work is pretty mediocre. It’s just a shame this one is one of his weakest releases. Kill the Doctor opens the story the same way it seems all Sutekh stories are doomed to open; with Sutekh trying to resurrect himself. The problem is, that’s pretty much all he does throughout: try and resurrect himself. He also manages to turn the planet he is “living” on into a new Osiris by means which aren’t very well explained. The story just treats the character horribly. He is made the subject of joke upon joke which removes any threat he might pose because nobody in the story is actually afraid of him. 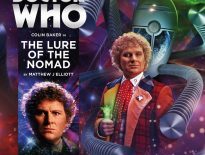 This story is also set after The New Adventures of Bernice Summerfield: The Triumph of Sutekh which limits its storytelling even more as it begins to feel like a pointless epilogue to those events which nobody really asked for. In conclusion, this half of Series 7 is a bit of a letdown. The first two stories both work on a conceptual basis, but don’t in full force, while the final story in the set demotes what should be one of the most threatening characters in the Doctor Who universe to a joke, like – whisper it – the Daleks and Cybermen of late. It’s a shame. It really is. The Fourth Doctor Adventures: Series 7 – Volume 2 is out now from Big Finish, priced £35 on CD or £30 as a download.